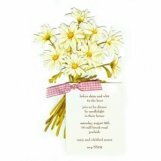 Here at PolkaDotDesign.com, we pride ourselves on carrying some of the best and most unique invitations and personalized stationery available. We understand the importance of adding your own particular style to every invite or thank you card you send out to your loved ones. That's why we feature the most popular designs around, including the ever popular collection of Sarah LeClere invitations. 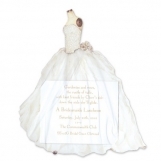 Sarah Elizabeth Connolly started Sarah LeClere in order to create invitations that would directly reflect her children's differing personalities. Connolly uses one-of-a-kind original images in an effort to make each celebration matchless among others. Since family has been at the core of creation for each of her designs, it was only fitting that Connolly named her collection after her grandmother, with whom she shares her first name. Connolly hopes that her collection of invitations inspires each recipient, and becomes a treasured reminder of life's best moments. Printing invitations has never been more of a thrill when they feature the incredible die-cut design featured in every collection is a one-of-a-kind choice. 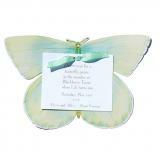 You won't find traditional square or rectangular invitations in any of the Sarah LeClere invites. 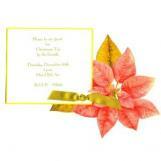 Instead, you'll find custom cut-outs that enhance each and every invitation. When paired with the beauty of watercolors and light pastels, you have an invite unlike any other. It's no wonder their die cut birthday invitations are so popular! You'll need to see them in order to truly appreciate them. Die-cut styled invitations have been a beloved choice among Polka Dot Design customers, and below you'll see exactly why. 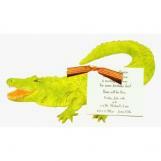 For example, we're just tickled pink at the latest collection of shoe invitations from Sarah LeClere. 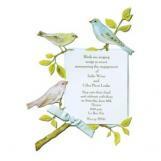 The die-cut design and clever colors make these invitations a sought-after choice for most occasions. Like a bachelorette party for example! 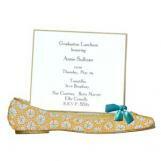 You can personalize your very own Sarah LeClere shoe invitations featuring a flirty high heel die-cut shape. 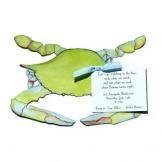 Or the Cowboy Boot Invitation which is an excellent choice for any themed event like a hoedown or square dancing party. 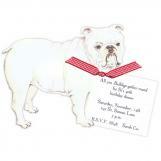 Sarah LeClere also features a wonderful collection of fall party invitations, perfect for your upcoming autumn season. During the fall, there are tons of reasons to celebrate, plus holidays to enjoy with friends and loved ones. 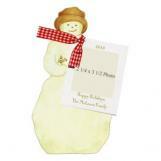 With the Sarah LeClere collection of fall party invitations, you can start planning for the perfect gathering today. 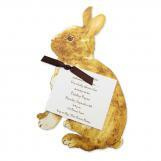 Whether it's a festive fall celebration, or a Halloween shindig that will be remembered by all, you can peruse our collection of invitations and find the ones you love today. Sarah LeClere invitations are some of the most unique kinds of invites out there. They span any and every occasion you can surmise, and have an authentic, original feel setting them apart from any other type of invitation. There is a certainty to this collection that cannot be matched, which is why we are so proud to carry them. The ones shown below are just a few of the many we carry from Sarah LeClere and we urge you to peruse the rest in order to fall in love with her collection as easily as we did. Save up to 25% or free shipping with a Polka Dot Design promo code on Custom Printed or blank DIY Sarah LeClere Invitations. For more information contact us at service@polkadotdesign.com or toll-free 1-877-816-0884.